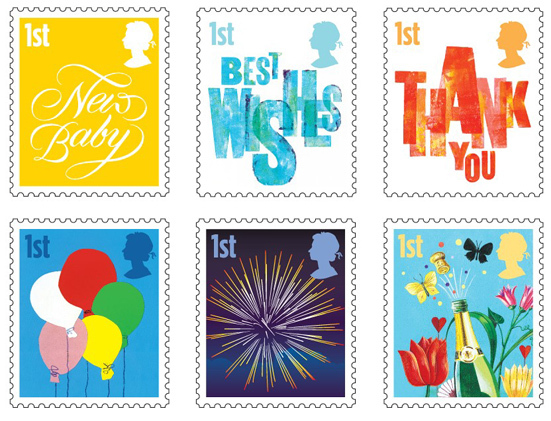 In time for users to get new personalised stamps in preparation for Christmas, Royal Mail is issuing these stamps to showcase the full and extended Smiler range and gain maximum awareness at this peak period. Definitive-sized greetings stamps were first issued in October 2005 with the corresponding Generic Smilers Sheet issued in July this year. These new stamps are issued in a self-adhesive booklet of 6 stamps, and a Generic Smilers Sheet will be issued at the same time. The Smilers Sheet is shown below. 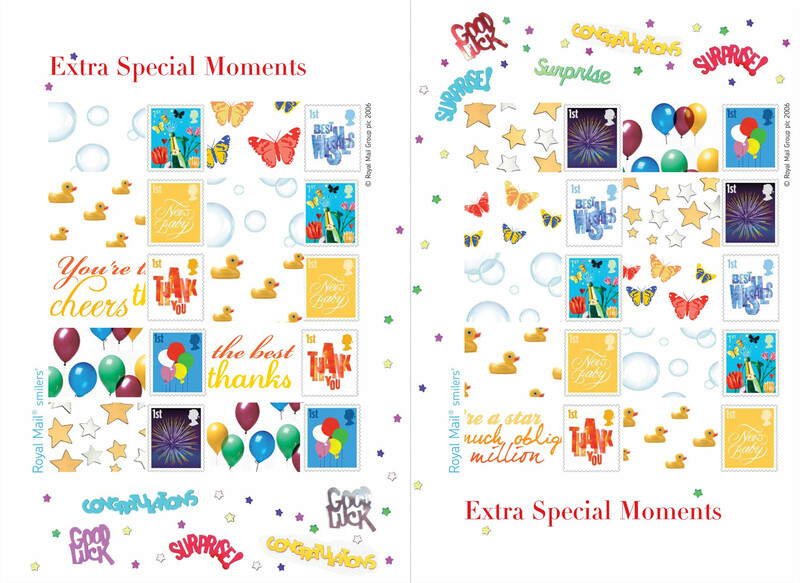 As expected, it is a sheet of 20 stamps consisting of 3 sets of the 6 stamps plus two additional stamps. However, what we did not expect was that all 20 labels would be different, and this requires a rethink on FDCs. The borders also have more decoration than the 'Life's Special Moments' sheet issued in July this year. This is probably designed to stop customers of personalised sheets overprinting the border with commemorative messages. The A4 (297 x 210mm) Smilers sheet is printed in litho by Cartor Security Print; the stamp booklet are printed by Walsall Security Print in gravure. 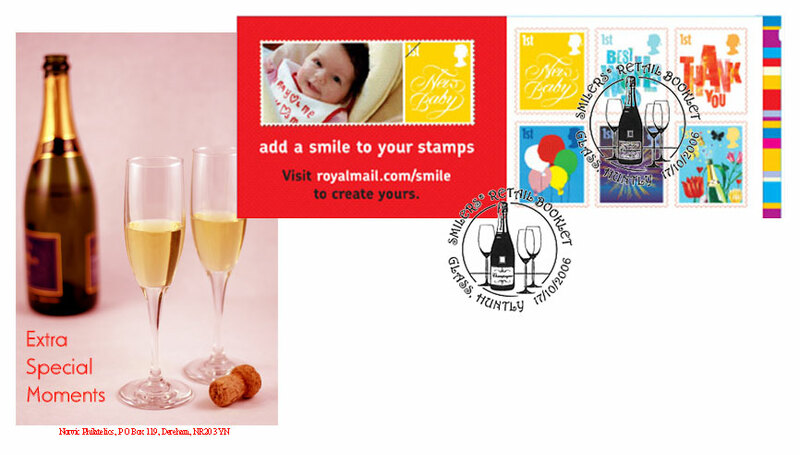 Stamp and postmark images are Copyright 2006 by Royal Mail. 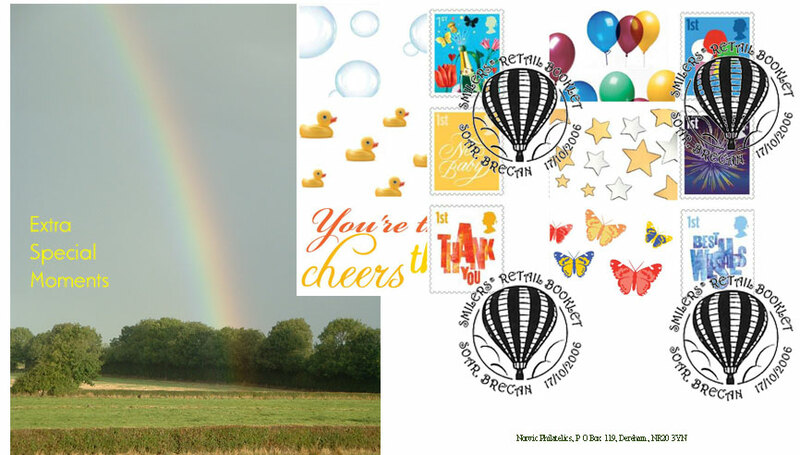 Postmarks for use on the day of issue are shown below. All permanent postmarks could also be used. 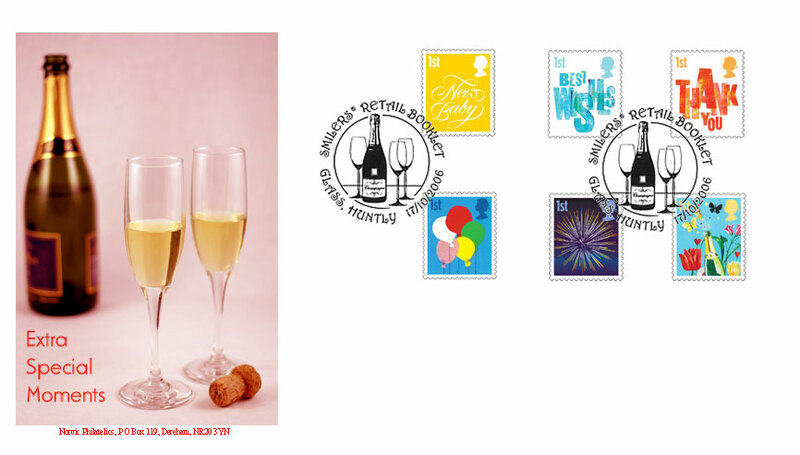 Except for L10241* these postmarks cannot be obtained after 17 October; L10241 can be obtained until 25 October. We have produced limited edition first day covers for this issue as detailed below. All these are digital mock-ups and the size and position of postmarks may vary.